When it comes to the last term of the penultimate year, every student is thinking about the topic of their dissertation. The thesis, which will cap off there undergraduate life, and for some will be the foundation of future learning, research and even greatness in their subject of choice. For others it will be just a flash in the pan, a topic which requires a great deal of research for nine months and then is dropped and most likely forgotten within a month, as the world of work takes over. And then there are others, who will passionately regret the under-development of their subject. The failure to continue on a life of research, of learning and further development of their academic knowledge of their subject of choice, due to the barriers and opportunities of life. I fit in the latter category, yet still aspire to do more in the future, to contribute and reveal the changes of my subjects of choice, for my very insignificant dissertation submitted to the University of Durham in 2005. I have written previously about my adventures/ misadventures in Turkey and the surrounding areas, but very little about how I ended up as a Turkophile and an Orientalist (think Robert Irwin, not Edward Said). I will not go into too much detail on the Turkophile point as I have previously written rather a great deal on this for the British Association for Turkish Studies in 2012, however, the subject of my studies, tribal communities in Anatolia, will be revealed here. “Eh.yes. Erm it’s Sheniz actually. Yes, I am at IMEIS. I’m interested in doing something on social change in the Ottoman Empire”. “Oh, in that case you should speak to Dr Norton, he will guide towards the right subject”, concluding the meeting. Dr Norton, Director for Turkish Studies at IMEIS, who I had only ever met briefly during oral for Turkish Studies examinations. I dropped Dr Norton an email and arranged to meet with him the following week. We chatted briefly and brainstormed potential topics. The subject of Yörük tribes was brought up and I eagerly spoke of what I knew of them. 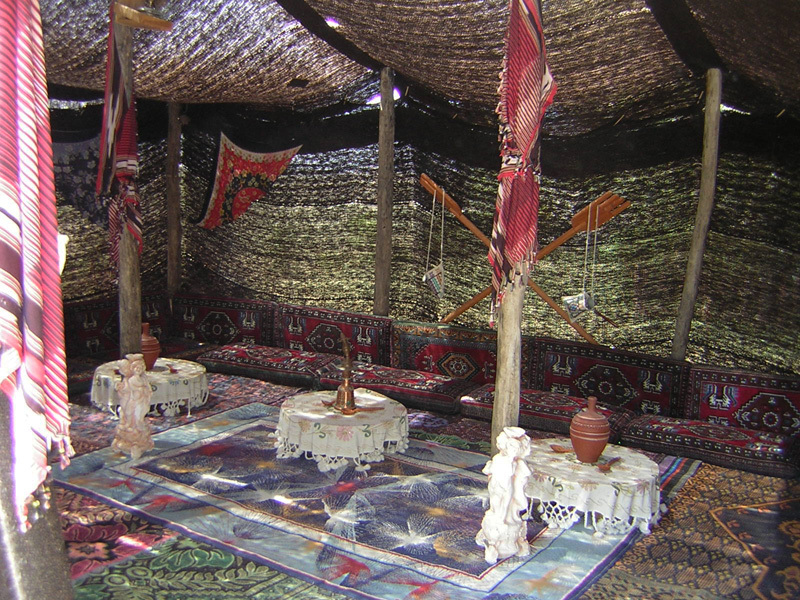 We eventually identified change amongst nomadic tribal communities during the twilight of the Ottoman state, as a starting point, focusing on primarily secondary resources. That weekend I went home to Middlesbrough to tell my dad about my dissertation ideas. I mentioned my meeting with Dr. Norton and about Yörük tribes. I shyly talked about maybe seeing if we could meet any Yörük people. This gained my father’s attention. He pulled a face that seemed to say, “How unbelievably ignorant can you be?” but then declared in a loud voice, ‘That should be easy. I am a Yörük’. This stunned me into total silence. I slowly began to inquire what he meant. I repeated that two years ago he had told me there were no longer any nomadic tribes in Turkey. In reply he said, ‘Oh, I thought you were talking about Bedu people. There are loads of Yörük people in Turkey, you have met many’. Further encouraged by this revelation, I e-mailed Dr. Norton with this surprising news and asked my father to make enquiries about visiting some tribes in July. So started a tremendous journey towards the discovery of the Yörük and my extended tribal family through my dissertation. I’m sorry, what is a Yörük? When I start to discuss my Middle Eastern background, people are generally confused when I explan that my Father’s family are Yörük Turks. Most people know what a Turk is, but unless you are from Turkey or a specialist in the area, it is unlikely you will know what is a Yörük. Even many Turks and regional specialists do not necessarily know what a Yörük really is, however, they know that they are tribal and are the ‘people who walk’. The most well-known interpretation and understanding of the Yörük is in their name. Deriving from the Turkish verb yürümek, to walk, with the addition of a K suffix, which implies ‘those who’ and you gain Yürük. However, the Yörük are more than just ‘people who walk’. The Yörük are a semi-nomadic or to use the correct anthropological term transhumant Turkic people based primarily in Anatolia. By being only semi-nomadic/transhumant, means that the Yörük only participate in two bi-yearly migrations: between their summer (yayla) pastures in the spring and winter (kışlak) pastures in the autumn. 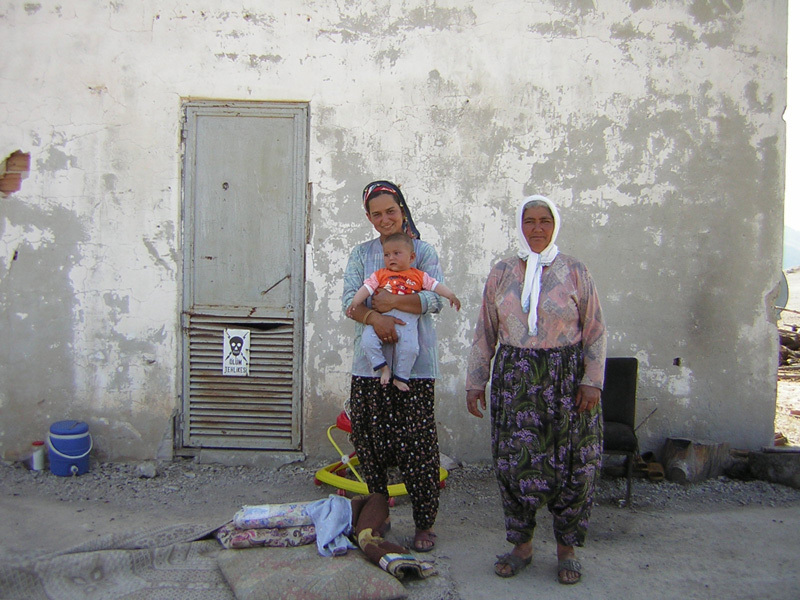 The Yörük are not a separate ethnic group from the rest of Turkey’s Turkish communities, they are predominantly Turkic. The term Yörük was first used in approximately 14301 to represent a ‘general administrative-financial term in the Ottoman Chancery to refer to all groups leading a nomadic way of life’2. However, by the end of 15th century, the term Yörük would begin to mean something very different and attach itself to mean primarily Turkic tribal Sunni nomadic communities. Like most names, it began in the realms of politics. The now often forgotten Turkic dynasties in eastern Anatolia, Azerbaijan and Iran, the Karakoyunlu (‘those with black sheep’) and the Akkoyunlu (‘those with white sheep’) tribes, posed a continual threat to western Anatolia. Like the early Ottoman state, their power was based on the might of nomadic Turkmen tribes. The Ottomans felt challenged in the region, by dynasties with similar backgrounds, cultures and political claims as themselves in Anatolia. So in order to distinguish their Turkmen tribal supporters, from the Karakoyunlu and Akkoyunlu tribes’ Turkmen supporters, they referred to them as Yörük. 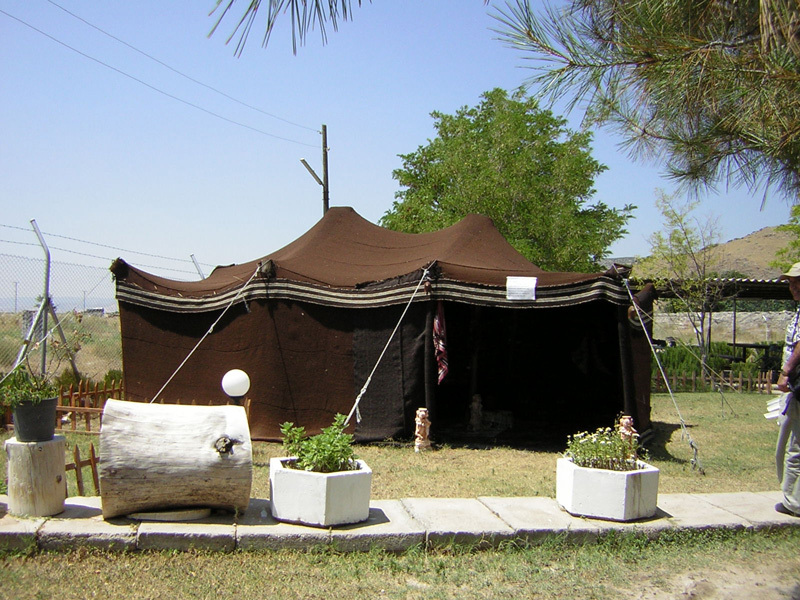 The Yörük became recognised as a distinct group of nomads, from other Turkmen and Turkic tribes with the foundation of the Safavid state in Iran by Shah Ismail in 1501. The coming of the Safavids, also led to the creation of separate Turkmen ethnic and religious groups. Pro-Ottoman Turkic tribes, who were predominantly Sunni, were hence referred to as the Yörük. While those Turkic tribes, who were pro-Safavid and supporters of the Shi’a interpretation of Islam and/or were members of Sufi tarikats, were vilified as heretics and commonly became known as the Kızılbaş or Tahtacıs. The vast majority of non-Yörük nomadic tribal communities, were suppressed and made to settle, giving up their nomadic way of life. Those who refused, became enemies of the state. This resulted in many different ethnic groups declaring themselves to be Yörük, as the Yörük received many favours from both the Ottoman and then later the new Turkish Republic. 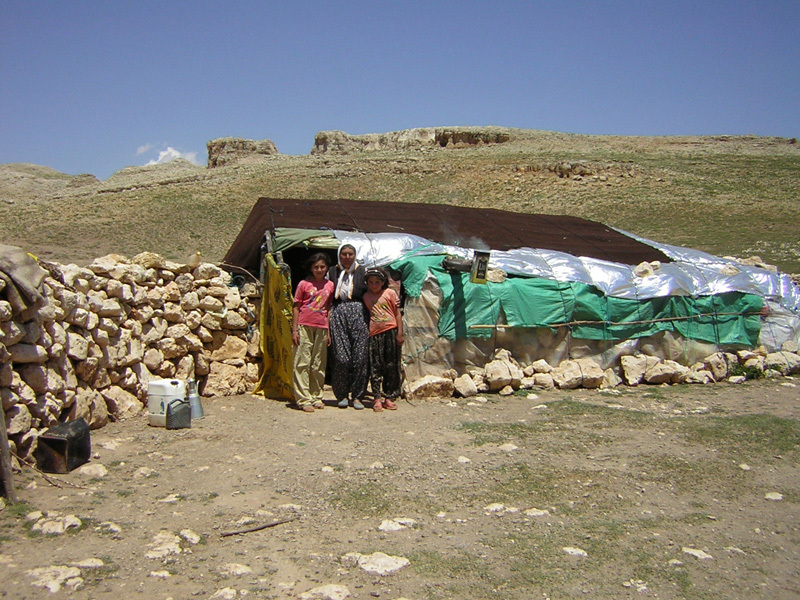 In particular, many Kurdish tribes embraced Yörük identity to ensure their future as nomads, as well as many other groups. Many Yörük tribes are today sedentarised, however, this does not prevent the Yörük from identifying themselves as members of this tribal group, and even those who are now based in cities, regularly connect and identify with their tribes. Most Yörük today, base themselves in one winter village and summer village higher up the mountains, two semi-permanent settlements. Travelling in a banged-up brown Renault Toros, up the Balkar Mountains, in scorching heat towards the Bahşiş’ summer encampment, I wondered if our vehicle would make it. It struggled up the vertical tors, creating clouds of dusts behind us. Inspired by this email, I started to identify a list of questions for our the visit to the Bahşiş. 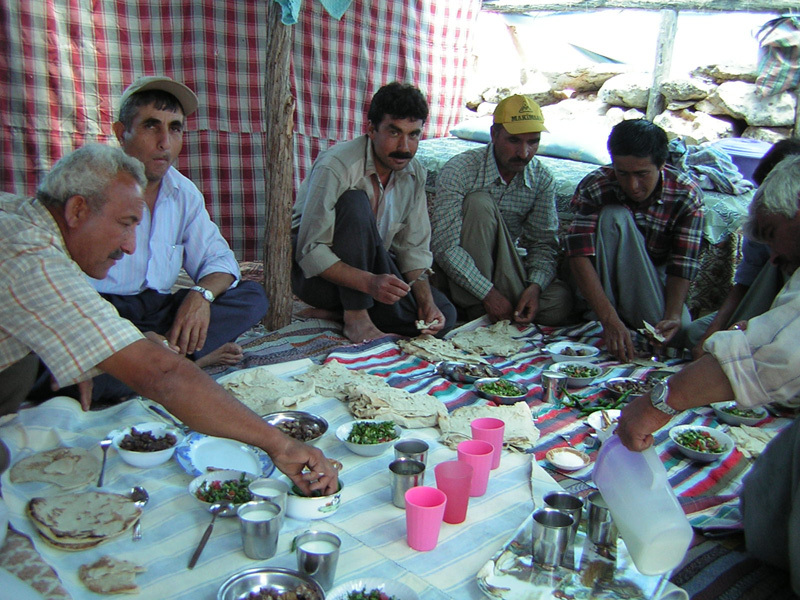 Now on our journey to the Taurus Mountains’ Balkar range, I found myself surrounded by family and Yörüks. Sami Abi, my father’s cousin, Mehmet Bey, a cousin and brother-in-law to Sami Abi, my own father Erol and myself, a relatively new researcher of anthropology. My Turkish was still weak back then, and so relied upon the translations of my dad. This normally resulted in question after question to determine what my research subjects meant by the certain usage of a word. The 3 other tribes we visited, had been tolerably surprised by our interest in such simple things as their tents or çadırs, in particular, the significance of certain areas of the tents. One of the most famous chronicles in the UK on the Yörük, The Caravan Moves On by Irfan Orga, explained how significant the place of the leader and the place of the women are in a Yörük çadır. And so I had asked endless questions to confirm this information. None of the tribes confirmed and I think almost all thought I was crazy. And so we were now travelling towards our own tribal community to obtain further research for my dissertation. Our destination was the Bahşiş’s yayla on Kızıldağ or Red Mountain, part of the Balkar range. The Bahşiş’s yayla was called Dümbelik Tepesi and was approximately two hours away from Arslanköy. Mehmet Bey related the history of the yayla: ‘The area we are visiting today is generally known as Dümbelek Boğazı. In the past, the Yörüks who are now settled in Tarsus, Mersin, Silifke, Konya and Karaman use to migrate to this district for the summer. The area, is high on the Taurus range and is not suitable for people to establish settled villages as the winters are too cold for reasonable life and the frost destroys the cement, so buildings don’t survive there. Because of this the Yörük only used Dümbelek Boğazı district in the summer. I was in the area last week and though it is July there was still snow on the ground. You will find the weather quite cool compared with the village’. I was bemused by Mehmet Bey’s remarks, though I did not really believe everything he said, particularly that about the cement and buildings. We crawled up the Balkar Mountains passing bare dusty land. After an hour in the car we stopped at a bricked-up spring. Natural springs are the great attraction of this area. They have long since made nomad and village life bearable; water, life’s necessity, is readily available in the Taurus. Sami Abi filled plastic bottles with the fresh tangy liquid and then invited us to drink and wash from the running tap. It felt cool on my head and eyes and gave me the most needed revitalisation for our adventure. I rubbed the clean liquid into my limbs and looked around my surroundings. I looked at the sky that was a perfect deep turquoise hue, uncorrupted by clouds. A restless eagle glided in the distance and landed on a faraway rocky peak. White and sandy stones lay around the road with yellow-headed wild flowers between them. A small, pale-green lizard popped out from the safety of the flora and rested on a dusty rock, absorbing the early morning sunrays. It flickered its’ tongue and then returned to the security of the vegetation. In the distance stood the Balkar peaks, the fertile hills filled with lush green pine trees and short burnt grasses. When Sami Abi declared it was time to go, I regretfully left that olive green scene of Eden and climbed back into the little dirty vehicle. After three hours of uphill travel I began to see open plateaus, treeless, covered only by sandy earth and lime green grasses. In the distance we could see white and dark green plastic constructions with jet-black bodies moving freely amongst them. We had reached the high plateaus of the Yörük who were still nomadic. We drove past a few small encampments comprising four tents and then, beyond a small hill, we saw a vast plateau surrounded by small rocky hills. 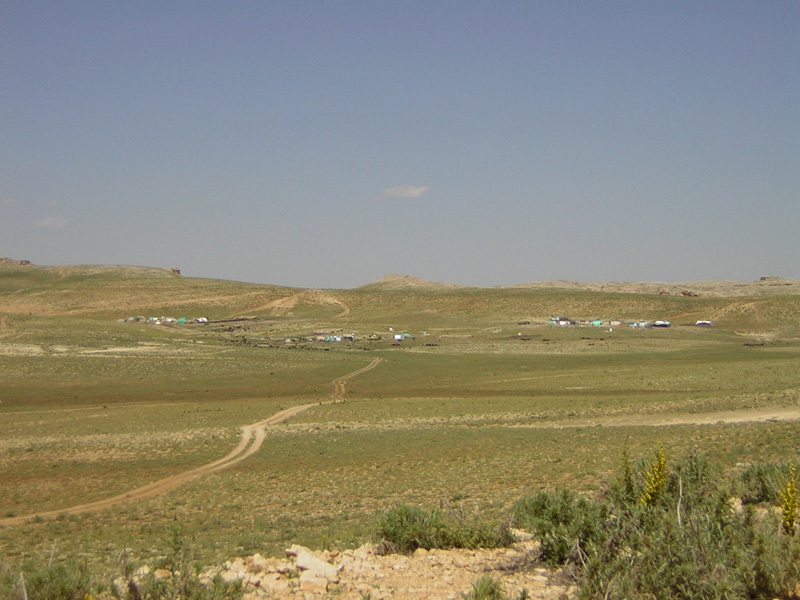 In the middle of the plateau stood a large encampment of 18 tents. The car approached the tents slowly to avoid hurting any stray goats. A massive, ferocious dog – a Karabaş – growled and barked at the car and chased us until we stopped. It then stood guard, snarling at us. Not much smaller than a Great Dane and solid as an English bull mastiff, it eyed us so suspiciously that I was not eager to leave the safety of the car. Instead, I cowardly waited until the approaching tribesmen called the brute off. Four tribesmen approached us and eagerly shook Mehmet Bey’s and Sami Abi’s hands; they appeared to be old friends. They said they had expected us hours ago and had received Mehmet Bey’s text message late last night. Mobile technology had even reached these mountains peaks! They laughed when I expressed my surprise at this. They confirmed it was so, but told me they had to walk for thirty minutes south to obtain any signal. They showed us around the camp and encouraged me to take pictures of their people. Compared with the tribes we had visited the previous day, there seemed to be a great many people doing their own jobs and basically ignoring us. We were led to where some men were shearing goats. They were surrounded by goat hair, almost like black snow, soft and over everything. We walked to another section of goats and one of the bronzed tribesmen called Haydar, asked me which one I liked the look of. I smiled and admitted my ignorance of goats. He laughed and dragged one un-eager specimen forward and led it away to a far off tent. Mehmet Bey told us that when the Obabey came we would talk about the Bahşiş tribe and then have lunch. 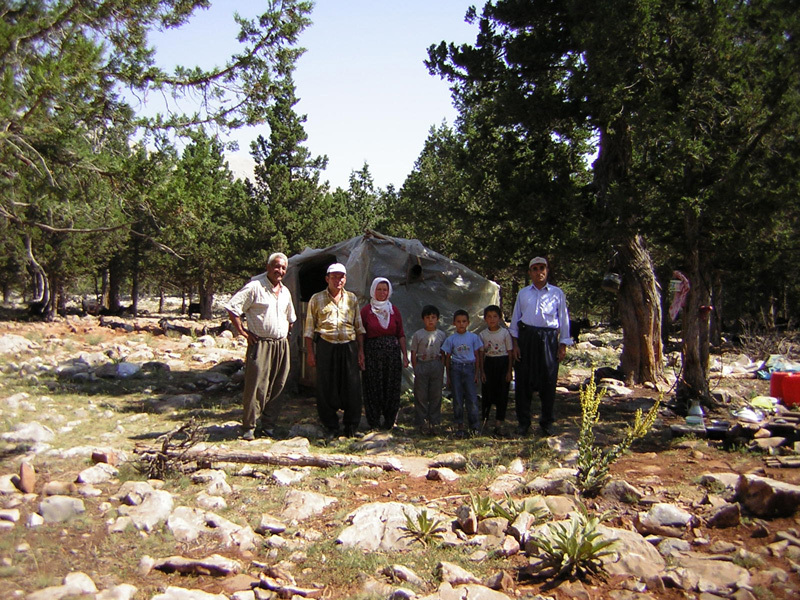 We continued to tour round the yayla until Haydar called for us to join him at his tent. 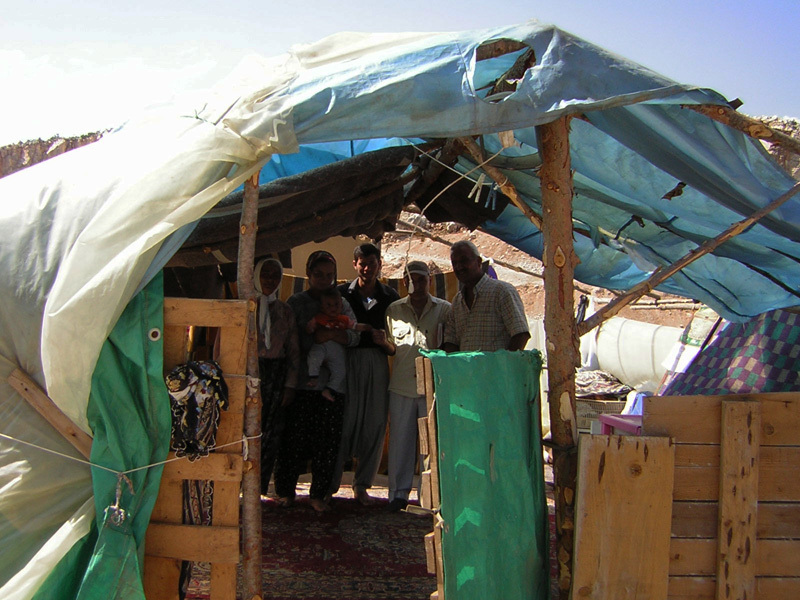 The tent was made of plastic sheeting held up by wooden poles. As we entered, I realised that it was not a tent at all but a slaughter marquee. 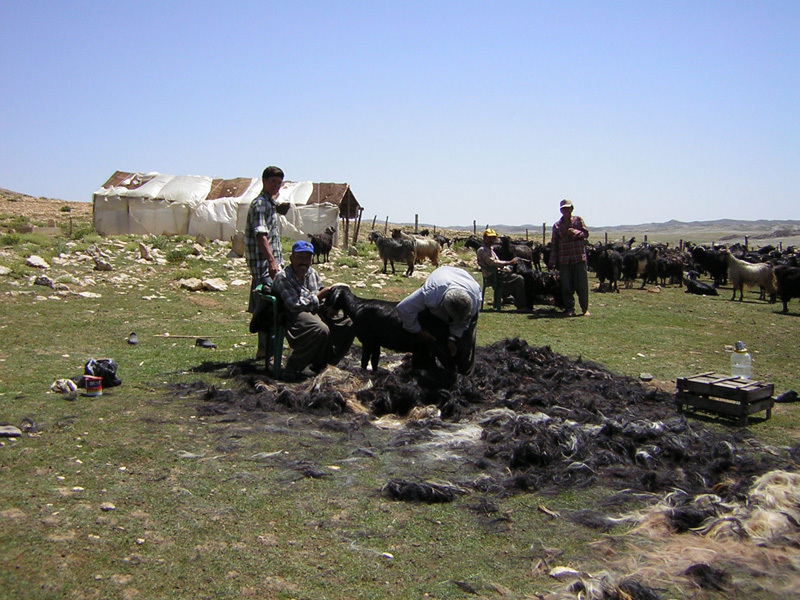 The goat that Haydar had trotted across here was now strung up by its hind legs, its head was missing and half of its skin had been pulled back over its body. Small children stood around watching. Mehmet Bey said one word to me, ‘Lunch’, and smacked his lips in delight as Haydar removed the remaining skin from the goat. One of his companions then sliced through its carcass and disembowelled our future meal. We left them to their butchery duties and walked to where the women were milking a black-haired goat. I was invited to try milking the animal. I reluctantly sat on one of the small plastic stools the women use while an unruly goat was placed in front of me. I reached between its two legs, found its udder and began to gently pull at its teats. A spittle of milk hit the empty bucket. After a couple of minutes, fearful that my unskilful efforts were hurting the animal, I handed back the milking duties to the far more professional women. 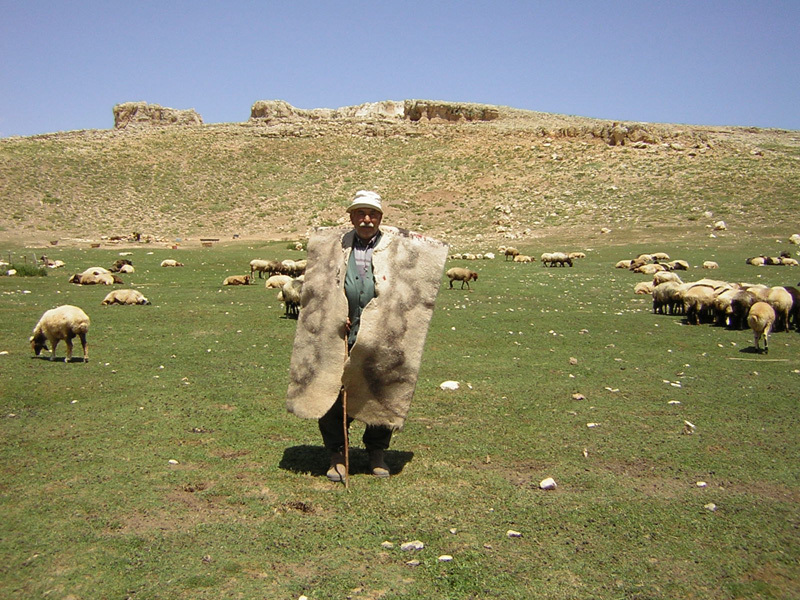 A podgy looking man approached holding a herding cane and wearing traditional şalvar, shirt, a fastened waistcoat, a cardigan and a baseball cap. He had white hair and a white bushy moustache. His lined faced was brown and unshaven. Sami Abi greeted him first and he then shook hands with Mehmet Bey before approaching my father and me. Sami Abi announced, ‘This is Abdi Keser Bey, the Bahşiş’s Obabey and my brother-in-law’. Abdi Keser Bey looked at us for a moment and then began to howl something wild sounds in the direction of a nearby çadır. A moment later an old looking woman slowly approached us. She was wearing floral şalvar pulled tightly around her waist under her sagging breasts. She wore an old T-shirt and a flannel cardigan top over her arms. On her head was a cotton floral headscarf tied tightly under her chin. She had cherub cheeks, squinting eyes and pale skin. Sami Abi flung an arm around her and introduced her as his sister Makbule Hanım. With surprising strength she took my hand and gave it two great shakes before sternly releasing it. We explained to them both that we wanted to research the Bahşiş, regarding all aspects of their life. Abdi Keser Bey began to quickly dictate some random facts about his Bahşiş clan. In an earnest voice he declared, ‘We have 18 tents on Dümbelik Tepesi, five different Bahşiş families and an approximate population of 80 to 100 tribespeople’. Like a government official he continued, ‘We farm goats and each tent has three to four flocks. Each flock is made up of approximately 80 animals.’ He shook his head in lordly confirmation and went on, ‘We have two flocks of black sheep, chickens for our personal use, several dogs including Anatolian sheepdogs and a Karabaş and of course a cat. We also grow some vegetables such as peas, beans, lettuce, onions and spinach for our own consumption when we can find fertile enough lands. Of course we use our herd’s milk and we make cheese, yoghurt and ayran. We also herd the goats for our own consumption but we sell the male goats to the slaughterhouse and at very good rate per head. We also sell all our goat and sheep skin and hair/wool to the townspeople’. He cast a knowledgeable eye in my direction and then began to recite his clan’s history. ‘Our clan arrived in this district from Anamur in the 1940s and decided to stay in this area and herded near the lower parts of the Balkar mountains. We originally came here only in the springtime and kept our yaylas here and we used to return to Anamur in the winter to our kışlak. But my father decided it would be best to stay permanently in this district. It used to take 14 days on the road from Anamur to Kızıldağ. Some other Bahşiş clans used to go as far as Tarsus and that would take nearly 20 days on the road. ‘We Yörük are all Sunni Muslims. In the past people use to say we were heretics and they used to think we were the same as those people who call themselves Türkmen, Tahtaci, Alevi and Kızılbaş. But we have always upheld the Sunna of the Prophet and Hanafism. Unlike those other groups we helped our Osmanlı brothers and the Caliph. Our reward was that we were given the name of Evlad-i Fatihan (Sons of the Conquerors). We Bahşiş came to these lands as part of the great Oğuz Türkmen migration. We conquered these lands and have lived and travelled here since the 10th century’. He began to talk about other Yörük people in the area and the government: ‘Many Yörük people have decided to leave their traditions in order to settle, embracing the ‘easy life’. We would all like to have an easy life but to give up our traditions, history and everything we know for something that may be easier would be wrong. Life is never easy but at least this way of life is predictable. Changes can be good but in the long run change only complicates things. I know people who have settled for an easier life, but they are still not happy. Their life is easier and now they have time to think more about their problems and this has made them unhappy. We Yörük people are far too busy to stop and think about our worries. That is why we live long lives. 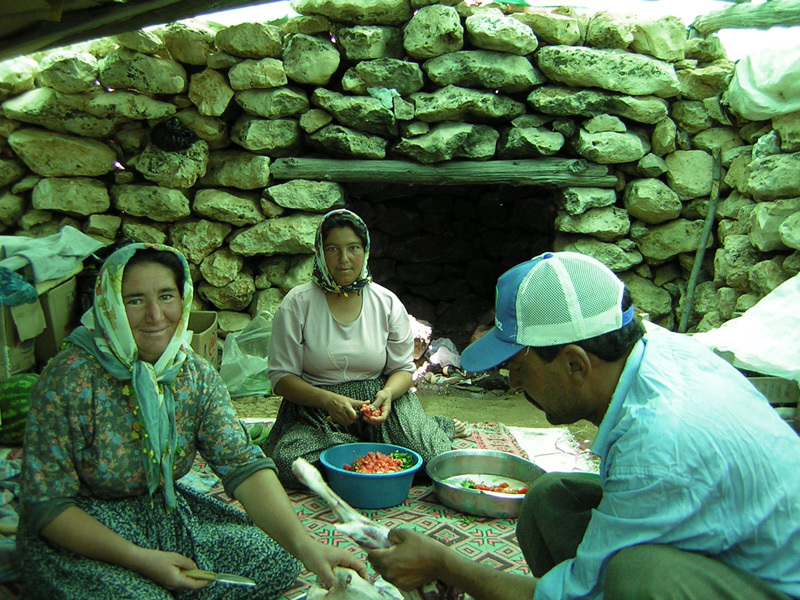 There are many tribes and sub-tribes travelling in the area such as the Muratlı Aşiret, Gerçe Aşiret and the Karalar Aşiret. Like the Bahşiş they will continue on this pathway for as long as it is possible. Governments are supposed to make their people’s lives easier, but we Yörük are always at loggerheads with them. Many of our people supported Atatürk’s nationalist movement on the battlefield and at the polling station. But then we were condemned as primitives because we have not embraced modern life. Some say we Yörük are free people, free to go where we want, when we want, but our pure freedom ended long ago. Even here on our yayla, far from the city, towns and villages, the government controls us. 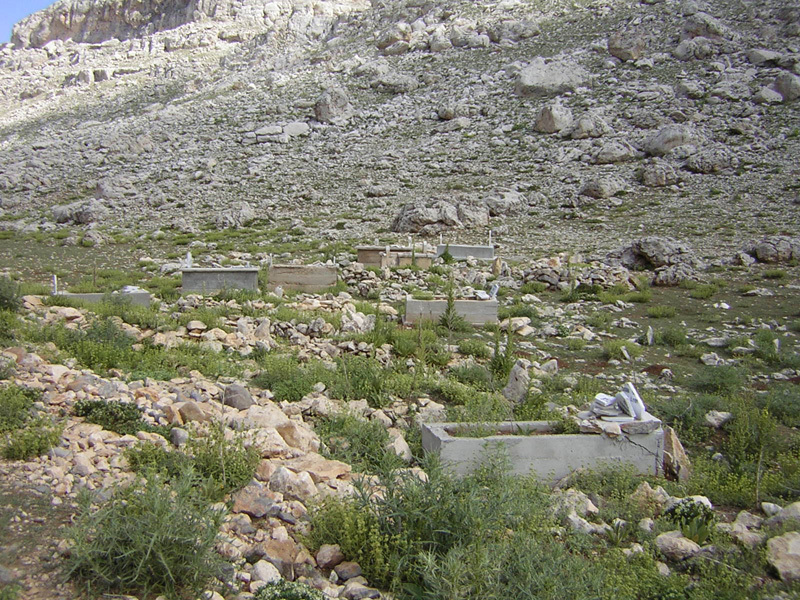 This yayla was declared a conservation site in 1964. They allowed us to carry on camping here and I was appointed a Supervisor of the area. The government planted trees, plants and flora. But because of the cold winters the project failed so they abandoned the plan in 1973 and they now leave the area alone. This land is officially owned by a woman in Ankara but she has long since allowed us to use it as we like for free. So the government charges us rent instead’. He broke off and guided us to a çadır they used as a kitchen. A man was building up a fire while another man and a woman expertly carved up the goat’s limbs and ribs, stripping the meat from the bone and cutting it into small shreds. This çadır like the rest of the living quarters was built by carefully stacking stones on top of each other without cement. 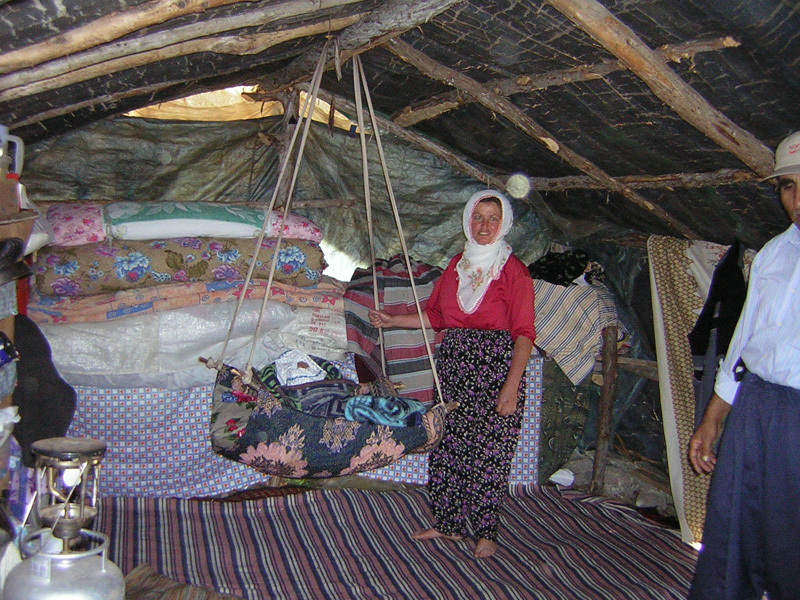 Plastic sheeting topped it and on top of that hung an old goat-hair woven sheet that once must have been an old çadır. Other women entered and began to prepare a salad from fresh tomatoes, lettuce, cucumbers and olives. I asked Makbule Hanım about migrating every year. She gazed into the distance and smiled as she began: ‘We Bahşiş love to migrate. It is hard work and every year it gets harder but our souls come alive when we pack up our tents and make for new pastures. We feel very happy to see new roads and new horizons. Today travel is different. It is quicker and we use cars, tractors and lorries to transport our goods and herds. In the past we used camels, donkeys and our feet. We no longer have any camels. They are costly to feed and if you have a car then there is no need to keep them. That time has passed’. I enquired about the uses of goats’ milk and in response she said: ‘We make cheese by placing it in a goatskin and then put that into the ground to mature, as it is cooler there. After a few weeks we take it from the earth and we have a ready-to-eat cheese called Tulum peynir. Yoghurt and cream are similar. We leave cold milk for a few days and eventually it turns into yoghurt. For cream we boil the milk and when the fat rises we have cream’. Makbule Hanım disappeared as Abdi Keser Bey led us into a different çadır. We sat on the floor and a host of women began to lay out a meal for us. There were all sorts of different dishes, all made with goat meat. The men came into the tent and sat down. One woman came to pour out tea and then left. I asked, ‘Where are the women?’ The men just laughed and said they were herding the animals. I felt slightly conscious as the only woman invited to eat while the rest of the women slaved away on the pastures. We ate heartily and soon devoured everything on our plates. In between mouthfuls of goat meat and salad I chatted to my father about others things we should ask them, he being my interpreter. Then suddenly the meal came to a stop and Abdi Keser Bey began to recite parts of the Quran and gave thanks to Allah. The sudden introduction of Islamic practices into the proceedings caught me off guard. With the end of the prayers, conversation returned to our small party. Abdi Keser Bey pointed to a white-haired, skull-capped man and announced he was a ‘misafir‘ (guest) from the Hayta tribe and his encampment was just over the next hill. The Hayta tribesman grinned a toothless smile and returned to his conversation with Abdi Keser Bey’s son. We left the crowded tent and Abdi Keser Bey escorted us to another çadır. Tied to the front pole of this tent was a goat skull adorned with some tassels and coloured beads. Abdi Keser Bey said it was to scare off the jinn, the evil eye and evildoers. He went to a dusty trunk and pulled out a heavy fleece shepherd’s wrap called a Kepenek. It had thick stitching along the seams and was a creamy colour with dark brown patches. Abdi Keser Bey demonstrated how in the old days in winter he would use it as a sleeping bag. Watching him lie down and snuggle into the fleecy material, my father began to laugh and recount an old tale he had heard: ‘When I was a child, a newspaper reported how a Yörük had been killed by a hunter. 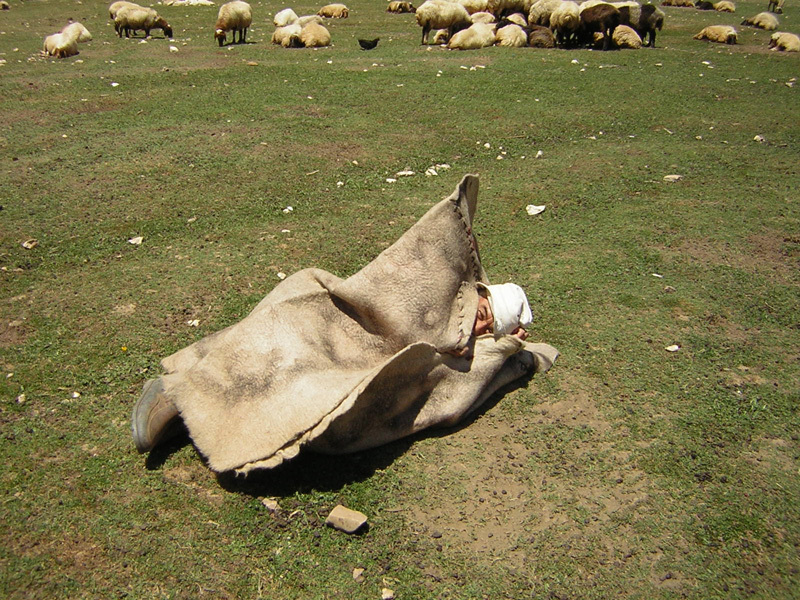 The Yörük, feeling weary, had snuggled up into his shepherd wrap and dozed off. A hunter, seeing the fleece in the distance, thought it was a bear or a wolf. He took aim and fired at the ‘creature’. The bullet hit the fleece, but as the material was soft it did not penetrate the shepherd’s cloak and apparently bounced off. However, the noise from the bullet had scared the Yörük so much that he had a heart attack and died instantly. It was a very strange thing’. Abdi Keser Bey then produced a pair of leather shoes. ‘I no longer wear the shepherd’s cloak or these shoes. They were designed for the cold winter. But I keep them for memory’s sake,’ he mumbled as he posed for another photograph. He then announced he had to return to his work. We thanked him, and he disappeared into the distance. 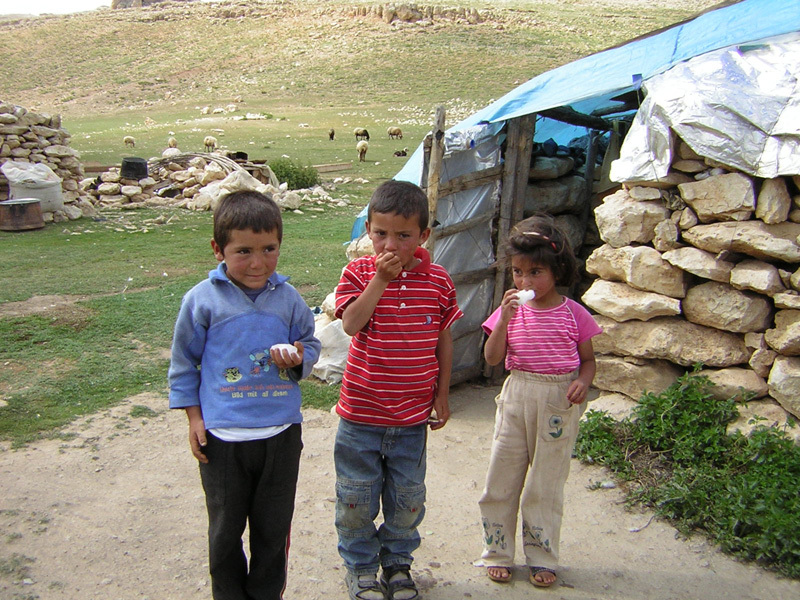 Two of the younger tribesmen, Haydar and Cemal, asked if we would like to go snow-picking. Totally baffled by their invitation in the middle of July, we agreed and climbed onto the trailer behind their tractor. A few young boys also clambered onto the back holding onto the railings for the ride. There was no road and so our ride was bumpy and we very often hit boulders. After ten minutes of being thrown about, we reached a rock crevice. Deep down the within the crevice lay pure white snow. The men produced a rope and tied one end round a boulder. Haydar tied the other end casually around his waist and instructed Cemal to lower him down. 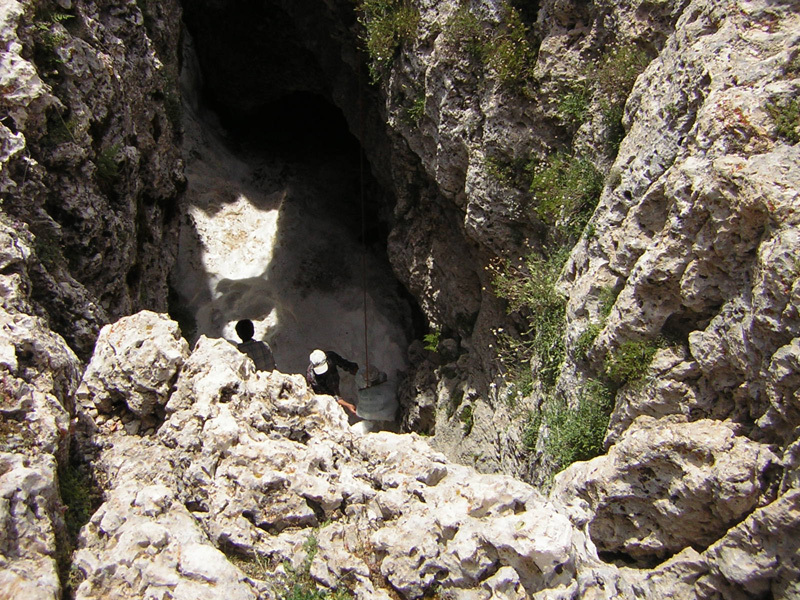 Haydar nonchalantly made the dangerous descent deep into the cavern. He then produced a sack and began to fill it with the pristine snow. Cemal next dragged Haydar and the snow from the depths. Back at the surface, Haydar stuck his hand into the sack and produced a handful of the clean white frost and gave it to me to eat. Pleased with our find, we stumbled back to the vehicle. Cemal stood next to me and showed me his right hand was mangled. He explained that when he was firing a gun it had blown up in his hand. I was amazed how he was able to drag Haydar up from the crevice with such a contorted arm. We arrived back at the yayla and Haydar gave the snow to his wife. Moments later a big bowl of lush snow mixed with grape juice was produced and we were all given spoons and began to eat the sweet, cold mixture. They called this karlı reçel (a Yörük type of bici or slush puppy in the UK). I had eaten bici before in Adana but this was very different. Adana’s bici was made from ice, cherry cordial and jelly. I found the Yörük karlı reçel sour and disagreeable. To please Haydar I took a few spoonfuls, then put my spoon down and watched the Yörük children’s cherubic faces as they enjoyed their cool pudding. We watched the children at their play for a while longer, then regretfully decided it was time to return to Hebeli Köy before the dark made it difficult to navigate on the mountain road. We said goodbye to my father’s tribe and to Makbule Hanım and started the long journey down the mountain. I looked back at very contented faces and reflected on all Abdi Keser Bey had said about their loss of freedom, but those faces told me that, though they may have lost their freedom, they still had their traditions and more importantly they were happy with their way of life. Full freedom may have ended, but happiness had remained. We left those whom the government called primitive people enjoying their contentment in the high plateaus of the ancient Balkar Mountains while we headed back to the complications of modern life and the composition of a dissertation! 1 Inalcik, H., The Yürük in Inalcik, H., The Middle East and the Balkans under the Ottoman Empire, Essays on economy and society, Bloomington. Indiana University Turkish Studies and Turkish Ministry of Culture Series, volume 9, 1993, p.42.